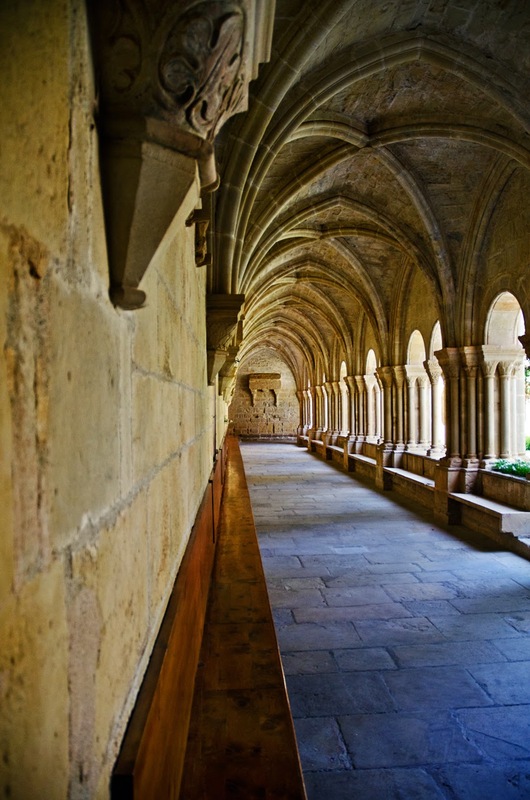 This cloister gallery with its rib vaults and pointed arches can be admired at Poblet Monastery, a wonderful example of Cistercian architecture founded in the XII century that was declared a UNESCO World Heritage Site in 1991. Cistercian architecture is a great legacy of medieval architecture. Early Cistercian architecture shows a transition between Romanesque and Gothic architecture and this monastery at Poblet, in the comarca of Conca de Barberà, Catalonia, is a good example although other styles such as Barroque and Renaissance are also present as the institution underwent later transformations. The different buildings integrating the complex are extraordinarily well preserved. Please check my previous post about Monasteri de Poblet for more information.